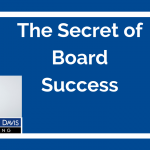 Learn why asking board members to call and thank your donors makes sense and how it will help you to build a culture of philanthropy. 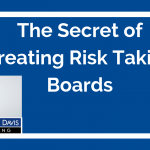 Discover how to ensure your board members succeed at this nonprofit fundraising task. 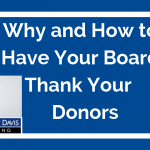 Board members thanking donors is one of many ways to help you board members learn to love fundraising. Follow this link for your FREE subscription to Karen’s videos. 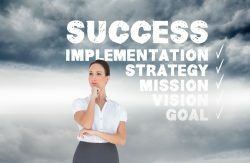 You need a nonprofit strategy to guide your efforts to grow your revenue and supporters and to accomplish more mission. What is the best process to use? 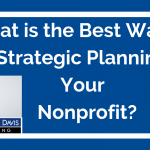 One that engages your board and gathers all of your potential nonprofit strategies under one umbrella for you to evaluate. Are you struggling to find the right words to convey your mission? This video will help you to craft a unique mission statement for your not-for-profit organization. How should you start? How might you organize your words to share your important work? 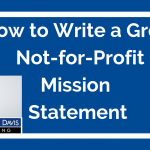 This short video will get you underway to writing a super not-for-profit mission statement. You’d like to work with a non-profit coach to build your career and your organization’s capacity. 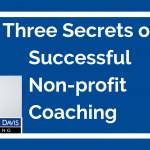 How can a coach help you to make a dramatic improvement in your nonprofit? What skills should you seek in a nonprofit coach? 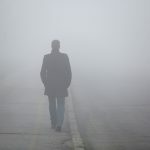 How will your non-profit coaching experience standout? This quick video gives you a flavor of the non-profit coaching experience and more. 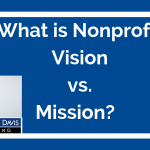 What is Nonprofit Vision vs Mission? What’s the difference between a nonprofit vision vs. mission? You may be completely clear about the difference, but many nonprofit board and staff members get confused by these two concepts. Listen and share this video grow clarity in your nonprofit about these two essential and related ideas.